Cut out this blue square from the Wild Card Zoom page. Pull the Green Tool Box piece and this Red Sheet out of the Ephemera package. 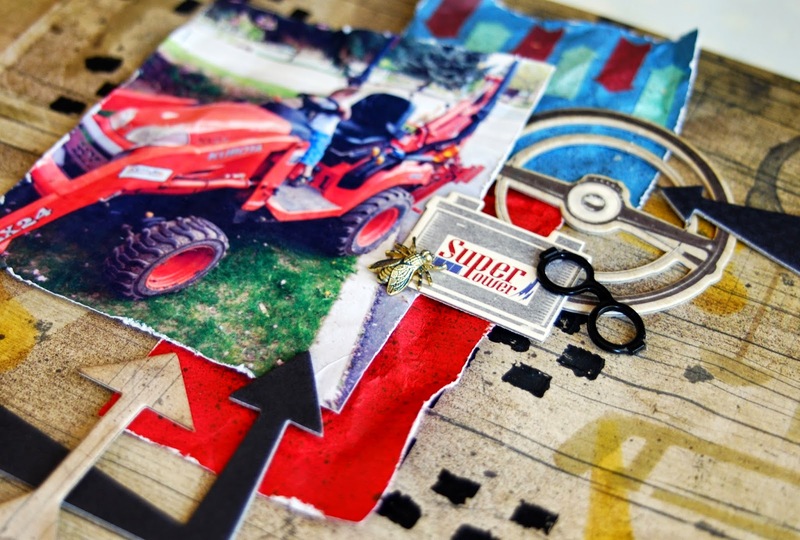 Using your Tim Holtz Paper Distresser, rough up the edges of each paper. 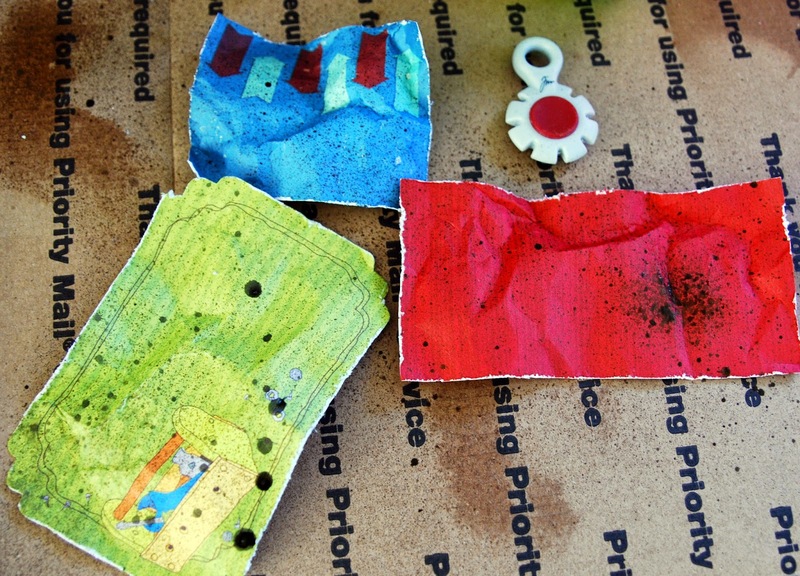 Spritz some water on each paper, let it soak in slightly. Crumple up the paper and then slightly flatten back out. Spray some paint on each paper. Let them dry. 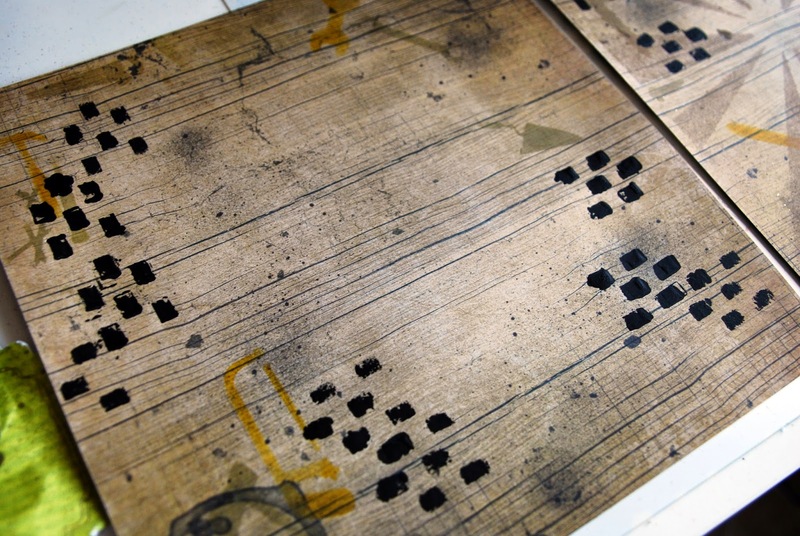 Using a stencil of your choice and Tim Holtz Black Crackle Paint, paint a few random areas of both Wild Card Sheets. Let dry. 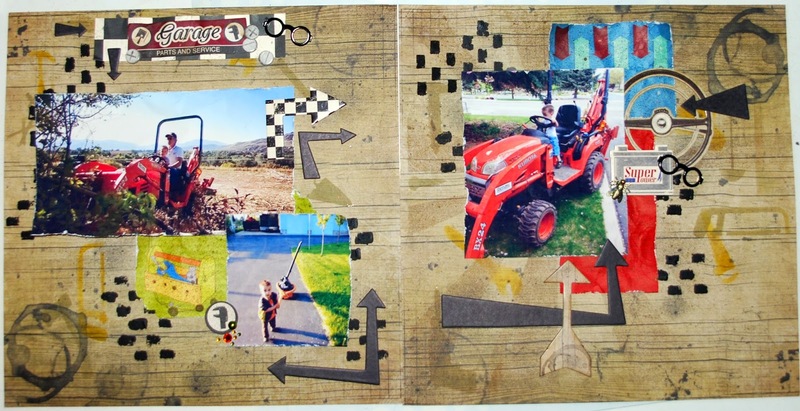 With some tool stencils and Tim Holtz Distress Inks, randomly add some tools around each of the pages. Print and cut your 3 pictures. 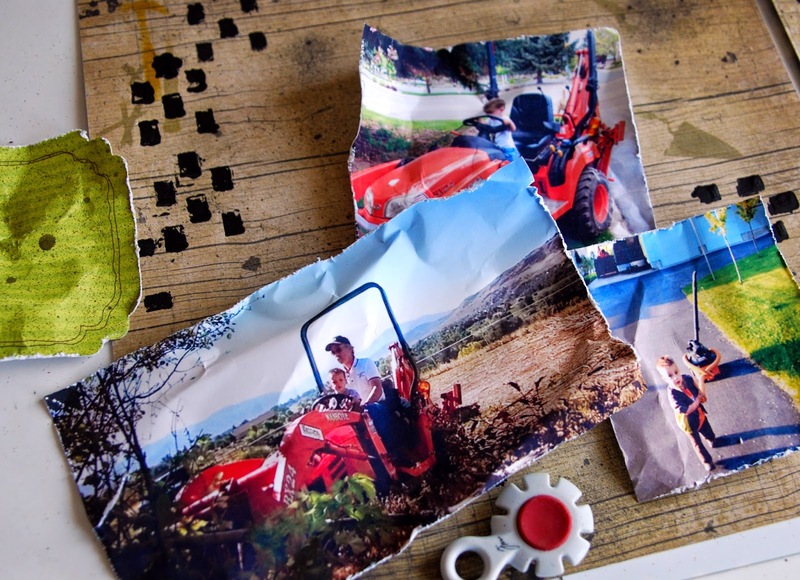 Rough the edges with the Distresser, then crumple the pictures slightly and flatten back out. Do not spray with water, the ink will run! Once everything is dry, start to lay out items you want on your pages. I pulled out a variety of arrows, a Garage sign and some chipboard pieces relating to this theme. Once you like the placement, using double sided tape start to secure your paper layers. Cut this checkered piece off of the front logo page of your bundle. It is the perfect size to fit behind the Garage sign. Secure this to the top center of the left side page. 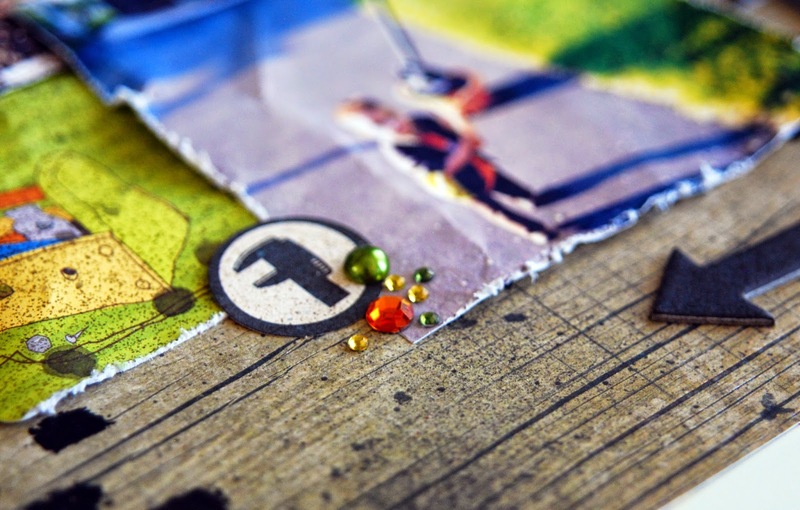 Add some arrow and screw-head chipboard details. I added some black glasses metal charm with a dot of hot glue. Secure this Wrench Noteworthy with double sided tape and add a few jewels, or other details you prefer. On the right side page, start layering the details you like. I added arrows and a steering wheel chipboard, along with a battery. With hot glue I secured another set of black glasses and a bug charm. Once you get to this point you can always review and add more items of your choice. Great layout! Love the distressing.